BestMechanicalBullRentals.com provides the best Mechanical Bull for bull riding in Santa Monica. This is our home away from home, so we'll let you know all the in and outs of Santa Monica that's ideal for a Mechanical Bull Party and to spend your off day. 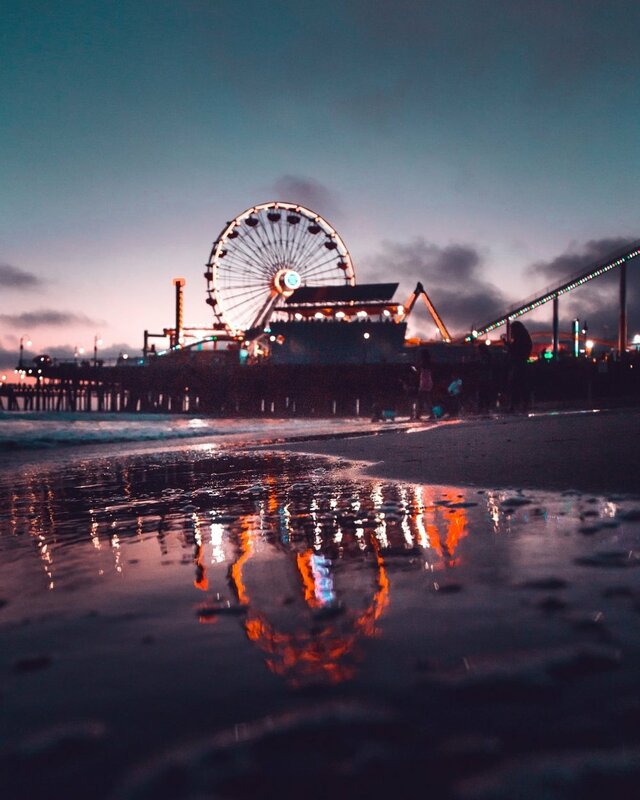 If you're a tourist in Santa Monica or just haven't ever been here, then yes, visit the Santa Monica Pier, Venice Beach, and 3rd and Promenade. If you've been here a couple of times and want an unconventional day in Santa Monica, here are a few suggestions. Start at the pier and rent a bike from any vendor near the pier. 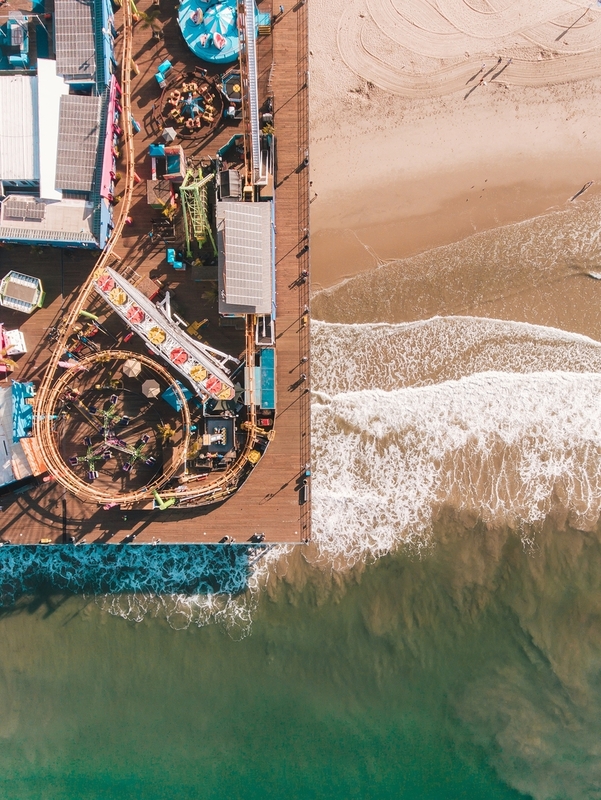 Cycle to Southbeach Park, the park that sits between Santa Monica and Venice Beach, and secure it for your Mechanical Bull Rental. It's the best location in Santa Monica for Mechanical Bull Riding because it's right in front of the beach. Ride our mechnical bull, chill out on the grassfield of this park while the breeze cools you down, and indulge in your imagination as your eyes gaze upon the vast ocean. After bull riding, there's tons of fun options to fill up your day in Santa Monica. Continue your bike rental to travel south on the bike path that parallels the ocean. This path is 15 miles long but it hits all the southern beach cities of Los Angeles. 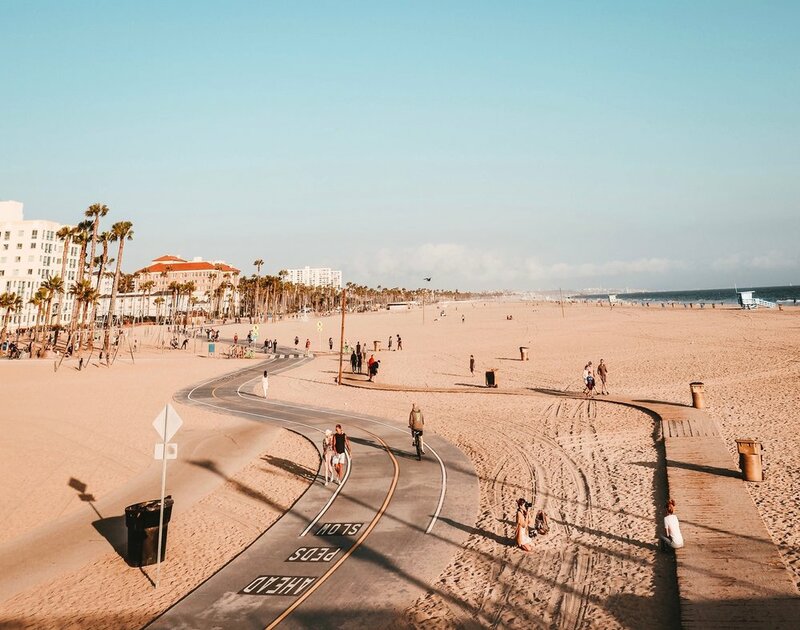 You'll pass by Marina Del Rey, Manhattan Beach, Hermosa Beach, and Redondo Beach, and 15 Miles might sound strenuous, but this ride is meant to be trekked slowly. Focus on nothing but the ocean that sits right in front of you with a fat smile on your face, and should you ride with this attitude, this ride will be 99% plesant and 1% strenuous. If you think Netflix is a great way to decompress, try this. Cycling isn't for everyone, and we get that. You might be the type of person who wants to cruise without exherting physical effort. And if you are, you'll really enjoy cruising on a Fat Scooter. It's great after riding a Mechanical Bull, because you'll still experience stimulation but without work on your part. Since Santa Monica has now declared electrics scooters on their bike path as illegal, we suggest you to walk over to Venice Beach where you can rent and ride one of these sweet rides on the bike path that parallels the ocean. It has a top speed of 20 miles per hour and categorized under scooters so it's legal to ride one of these without a permit. And, the model of their phat scooters is like a moped, so you can actaully sit during your cruise, which makes the ride more pleasant, and there's a platform you can stand on for the ones who hates the feeling of lethargy from sitting too long. We would've recommended riding a bird after your Mechanical Bull Rental because it's fun and a convenient way to travel, but Santa Monica recently banned these electric scooters due to a flood of complaints from the residents of Santa Monica. Kinda makes sense because bird users tend to leave these scooters in front of houses, front of the driveway of houses, and in front of your door sometimes. So, we're recommending the inactive way to spend the rest of your day after you ride our mechanical bull. Go to Main Street and grab a dish at any one of their fine restuarants. They have a long block of restaurants and healthy food joints so finding a place to eat once your stomach is growling especially after riding a bull will be easy. After your hit those restuarants, check out their various stores from unique coffee shops, to stores that sell the newest electric bikes, or a Japanese clothing company called Muji which rivals H&M. Santa Monica is great, and it's even better with a Mechanical Bull. So if you're in the area and you're looking for extra stimulation, don't hesitate to contact us for our Mechanical Bull Rental to make your day in Santa Monica one you won't forget.